It sure was a life-changing year for me. I made a leap of faith (as some call it) when leaving a career I had over the last 11 years at a fitness magazine, Austin Fit. My farewell and thank you letter was published on May 1, 2018 and that began my journey to generate income all on my own as a freelancer. Early on I was incredibly fortunate to land the largest photography gig of my career. It was an internationally-published power yoga book by Leah Cullis and Human Kinetics who hired me to photograph 358 poses. However, not all things went so well in the beginning. Within the first month, my second largest client had to postpone services. It was definitely a wake-up call to start kicking it into gear immediately. What seemed to fall out the sky was an opportunity to be the managing editor for foundingAUSTIN magazine and I soon helped consult with publishing, process, and photography when needed. It’s been incredible meeting some of the most influential CEOs and entrepreneurs in Austin. Another opportunity that came along was to photograph a book cover for Meghan March, a NYT Best-Selling Author who writes top-selling romance novels. I love how the Savage Prince cover turned out. The farthest distance traveled? I drove 430 miles for Spectrum Trail Racing’s Sky Island trail race in the Davis Mountains to not only photograph the start and finish but to race their 15.5 mile course. I may be crazy, but I did it for the challenge and capturing people’s excitement through the lens is what I love to do also. During the winter I traveled to Breckenridge, Denver, and Boulder to test out the Atlas Camera Pack and published an article about the Top 5 Things to Do in Colorado in 5 Days centered around that trip. For multi-discipline gigs, I really enjoyed photographing and designing educational fitness literature like a Myofascial Release Book by Lauren Brown and this 200+ page 200-hr Yoga Teacher Training Manual for Wild Heart Yoga. I also took photos and video for a new class called LOVEBANDS for LOVE Cycling Studio. I love to be able to work on projects with different needs like this. I can see the project through—start to finish. Working remotely? No problem! I designed a California’s healthy restaurant menu board and I eventually got to see it in person. I’m starting to get hungry! I was happy to work with these food and beverage companies: CLEAN Cause Drinks and Wildway grain-free food. Go get you some CLEAN energy drinks help support people’s recovery from alcohol and drug addiction. These events rocked my world. 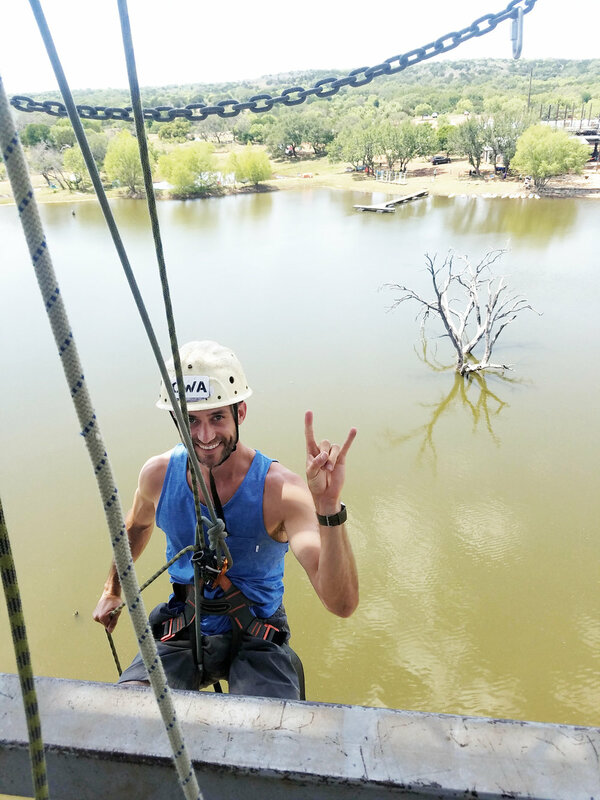 I was encouraged and soon did repel down a 150-foot tower at Camp Kammok. Then I got to not only photograph, but taste the winning dishes of the Lamb Jam Tour. Then I rocked out with some of the best musicians in the world at C3 Presents Austin City Limits Music Festival, and there was an intimate Q&A with Dave Asprey of Bulletproof at SXSW Interactive that was so fascinating. Whew! That seems like a lot, but I know there’s more room to grow in 2019. So let’s take flight!